Get your website set up right. 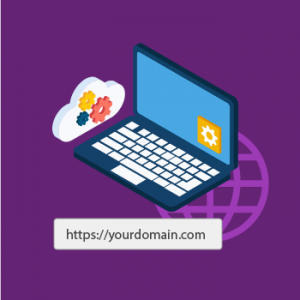 One of the first steps to creating a web presence is registering a domain name or web address. However, this can be a time-consuming process. Trust SwordsNet Designs to take this hassle out of your hands. We can search for available domain names for your business and provide you with a comprehensive list of options. Once you’ve settled on a name, we can handle all the aspects of registering and establishing the website domain (or domains) you choose. Once we’ve established your domain, it’s time to choose a hosting provider. Web hosting providers allow your web site to be publicly available on the Internet. There are many companies that provide this service and many hosting options are available. We’ll help you assess your alternatives, so that you can confidently choose the hosting package and provider that fit your budget and your needs. Want to transfer an existing domain name or switch from one hosting provider to another? No problem, we can handle that for you too! *Disclosure: The links above are “affiliate links”. This means if you click on the link and purchase an item, SwordsNet Designs will receive an affiliate commission – at no extra cost to you. Regardless, we only recommend products or services we use personally and believe will add value to our readers. We appreciate your support.